Love knows no boundaries, and in many cases it transcends all reasoning and limitations of time and distance. 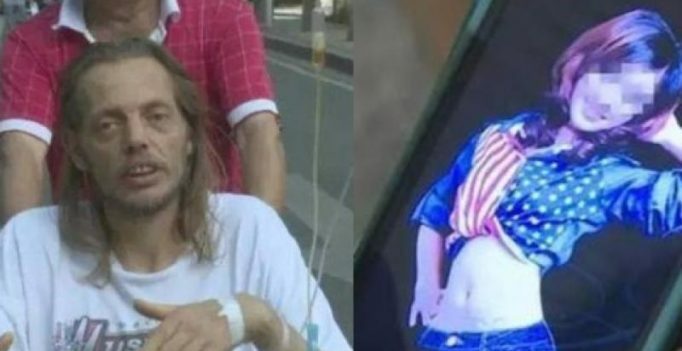 But a man from Netherlands took this poetic idea to a whole new level, when he waited for his girlfriend at an airport in China for days, eventually ending up in a hospital. 41-year-old Alexander Pieter Cirk met a 26-year-old Chinese woman surnamed Zhang on a social media app, and over period of two months they fell in love through interactions on the internet. Finally Cirk, who was clearly madly in love with the woman, decided to fly to China in July, and landed at Changsha’s Huanghua International Airport, waiting to meet his “girlfriend”. But little did he know that his wait would last really long. After waiting at the arrivals terminal for eight days and creating a buzz, Cirk told Hunan ETV that he would not leave until he met his girlfriend, who never came. But he waited at the airport for Zhang, who had promised to meet him there, and was rushed to the hospital on the tenth days after he looked frail. The story made it to the local media and Zhang seemed shocked when the news finally reached her. She told a TV channel that Cirk had agreed to travel to China a year later and thought he was joking when he sent her a picture of air tickets. It was later discovered that Cirk contacted her after his arrival but her phone was switched off since she was in another city for plastic surgery. As the story created a stir on social media with some calling Cirk weird and others attributing his actions to a pure heart, Zhang said that she would meet Cirk after his recovery and was till interested in a romantic relationship. Does rubbing crystal on your face help recapture your youth?